Identify the main claims shareholders in your jurisdiction may assert against corporations, officers and directors in connection with M&A transactions. There are four claims that shareholders can file in connection with M&A transactions (claims 2 and 3 relate to directors’ responsibility). The most common claims in shareholder-initiated litigation deriving from M&A transactions are claims between the parties to the M&A transaction, generally based on breach of contract. The action is usually a damage compensation claim deriving from (mainly) a breach of the representation and warranties of a sale and purchase agreement, or from discussions regarding price-adjustment clauses, although it could relate to other contractual breaches. There are two types of claims: in a share deal, shareholders (as sellers) are the parties to a contract, and therefore they can claim against the buyer generally based on a breach of contract; and in an asset deal, the company itself is the party to the contract, and it can claim against the buyer generally based on a breach of contract. Social liability action: the company (through an agreement of the general shareholders’ meeting), shareholders (holding a minimum capital percentage) and creditors are entitled to claim directors’ liability. The purpose of the social liability action is having the liable directors compensate the company for any damage caused. Individual liability action: shareholders and creditors individually damaged by directors’ actions or omissions (ie, when the damage is not caused to the company itself) can request compensation from the liable directors. The purpose of the individual liability action is having the liable directors directly compensate the shareholders or creditors (as the case may be) for any damage caused. The fourth action related to M&A transactions arises mainly in the context of tenders and initial public offerings. Should there be a misrepresentation or inaccurate information in the prospectus (or in the periodic information that should be disclosed by issuing companies), shareholders may assert claims against the corporation, or against the directors or other personnel legally liable for the accuracy of the prospectus, further to sections 38 and 124 of the Capital Markets Act. Section 38 establishes the liability for information (ie, false information or omissions) disclosed in the prospectus, whereas section 124 sets forth the liability regarding periodic information disclosed by issuing companies. Further to these sections, shareholders are entitled to claim damage suffered. These four actions are referred to by their corresponding numberings throughout this chapter. For each of the most common claims, what must shareholders in your jurisdiction show to bring a successful suit? In the case of a breach of contract claim, claimants need to prove the breach, the damages suffered and a cause-and-effect relationship between the breach and the damages. Regarding directors’ liability claims (both for social and individual liability actions), claimants must prove that directors acted wilfully or negligently contrary to the law, the company’s by-laws or the legal duties deriving from their position. Shareholders must also prove that the corporation (in the case of a social liability action) or the shareholder or creditor (in the case of an individual liability action) suffered actual damage. Finally, it must be proven by the claimant that there is a cause-and-effect relationship between the wilful or negligent behaviour of the director and the damage suffered. In the event of claims further to the Capital Markets Act (Action 4), shareholders need to prove the existence of false information or omissions, the damage suffered and a cause-and-effect relationship. Do the types of claims that shareholders can bring differ depending on whether the corporations involved in the M&A transaction are publicly traded or privately held? They apply to both publicly traded and privately held corporations, except in the case of claims further to the Capital Markets Act (Action 4). Actions further to the Capital Markets Act can only be brought against issuing companies (ie, companies subject to the capital market regulations). Do the types of claims that shareholders can bring differ depending on the form of the transaction? In the case of tender offers, Actions 2 and 3 (directors’ liability), and Action 4 (claim further to the capital markets regulation), would be available. In a share deal, Action 1 will be available to the contracting shareholders. In an asset deal, the contracting company will have legal standing for a breach of contract claim (Action 1) and shareholders could bring Actions 2 and 3. In the case of a merger, Actions 2 and 3 would be available for shareholders. Do the types of claims differ depending on whether the transaction involves a negotiated transaction versus a hostile or unsolicited offer? Do the types of claims differ depending on whether the loss is suffered by the corporation or by the shareholder? Regarding Action 1, the loss is suffered by the contractual party (a shareholder or the company, as the case may be). The damaged party will be the one with legal standing. In Actions 2 and 3, if the loss is suffered by the corporation, the appropriate way to seek compensation would be a social liability action, whereas if the loss is suffered by a shareholder, compensation would have to be requested through an individual liability action. In Action 4, shareholders are the individually damaged parties. Where a loss is suffered directly by individual shareholders in connection with M&A transactions, may they pursue claims on behalf of other similarly situated shareholders? In the case of a social liability action, shareholders (if the general shareholders’ meeting does not pass a resolution favourable to suing corporate directors) can file the claim against them to the benefit of the company (and, indirectly, of the remaining shareholders). In an individual liability action, shareholders cannot pursue claims on behalf of other similarly situated shareholders. In claims further to the capital markets regulation, shareholders cannot pursue claims on behalf of other similarly situated shareholders. However, consumer associations can bring collective claims on behalf of consumers that have accepted being part of such claim. Where a loss is suffered by the corporation in connection with an M&A transaction, can shareholders bring derivative litigation on behalf or in the name of the corporation? Only regarding social liability actions, shareholders holding minimum capital stakes can file actions requesting a director’s liability deriving from M&A transactions on behalf of the corporation when the corporation itself (through an agreement of the shareholders meeting) has refused to initiate said actions. As a way of exception, if a social liability action is based on a breach of the duty of loyalty, shareholders are entitled to directly file a claim against corporate directors, without a previous refusal of the general shareholders’ meeting. What are the bases for a court to award injunctive or other interim relief to prevent the closing of an M&A transaction? May courts in your jurisdiction enjoin M&A transactions or modify deal terms? (iii) posting a bond or security to cover potential damage caused to the counterparty. Even if a claimant could evidence the fulfilment of requirement (i) and offer a bond (requirement (iii)), the periculum in mora is hardly ever met in interim relief aimed at preventing the closing of M&A transactions, as the potential damage caused to the shareholders could, in the vast majority of cases, be compensated through a monetary reward. Spanish courts cannot generally enjoin M&A transactions or modify deal terms. May defendants seek early dismissal of a shareholder complaint prior to disclosure or discovery? This is not applicable. Early dismissal and discovery do not exist under Spanish law (ie, discovery is only available in antitrust damage action claims). Can shareholders bring claims against third-party advisers that assist in M&A transactions? Technically speaking, shareholders could arguably bring tort claims against third-party advisers that assisted the company in M&A transactions. However, it would be much more natural that these claims against third-party advisers are brought by the corporation itself rather than by the shareholders. Otherwise, directors’ liability may arise, and shareholders could file Actions 2 and 3. Can shareholders in one of the parties bring claims against the counterparties to M&A transactions? Shareholders bringing claims against the counterparties to M&A transactions is far from being usual. There may be very particular circumstances in which shareholders may bring tort liability claims against the counterparties to M&A transactions, but this is not at all common. Claims deriving from M&A transactions are almost always brought by the affected corporation. What impact do the corporation’s constituting documents have on the extent board members or executives can be held liable in connection with M&A transactions? The corporation’s constituting documents are a key element regarding Actions 2 and 3. Shareholders may bring claims against directors if it is proven that they failed, wilfully or negligently, to comply, inter alia, with the provisions included in the corporate by-laws, in the regulation of the general shareholders’ meeting or in the regulation of the board of directors. Regarding liability limitation provisions that may be included in the corporation’s constituting documents, any limitation provision would be considered null and void. Directors’ and officers’ (D&O) insurance, for instance, would be a way to limit the personal exposure of company directors. Are there any statutory or regulatory provisions in your jurisdiction that limit shareholders’ ability to bring claims against directors and officers in connection with M&A transactions? Shareholders’ ability to bring claims against directors cannot be limited by statutory or regulatory provisions. Indeed, if the company by-laws include any kind of clause limiting shareholders’ ability to bring claims against directors and officers, such stipulations would not be accepted by the commercial registry and therefore would not apply. In the very unlikely scenario that a clause like that is accepted (due to the inattention of the registry) it would be null and void. Are there common law rules that impair shareholders’ ability to bring claims against board members or executives in connection with M&A transactions? Section 226 of the Spanish Corporations Act provides for the protection of directors through the business judgment rule. Regarding strategic and business decisions subject to the business judgment rule, the standard of diligence of an orderly business person is understood to have been fulfilled when the director acted in good faith, without personal interest in the matter being decided, with sufficient information and further to a proper decision-making process. What is the standard for determining whether a board member or executive may be held liable to shareholders in connection with an M&A transaction? A general standard is the above-mentioned standard of diligence of an orderly business person. in actions of company directors breaching their legal duties (eg, the duty of diligence, duty of loyalty), there is no presumption of directors’ liability. The burden of proof lies on the claimant, who must prove that the director acted wilfully or negligently and that such actions caused damage. Does the standard vary depending on the type of transaction at issue? Generally not, although regarding Action 4 the standard would be reasonable care and diligence. Does the standard vary depending on the type of consideration being paid to the seller’s shareholders? Does the standard vary if one or more directors or officers have potential conflicts of interest in connection with an M&A transaction? The duty to avoid conflicts of interest is included within the broad concept of the loyalty duty of corporate directors. The Corporations Act provides for the regulation regarding conflicts of interests, and sets forth the circumstances in which a director has the obligation to avoid conflict of interests situations. A violation of such provisions would be considered a breach of the loyalty duty. Therefore, further to our answer in question 16, the applicable standard in cases of conflicts of interest, as it is technically a breach of a legal duty, is that there is no presumption of directors’ liability. Therefore, the claimant will need to prove a breach of the loyalty duty, a damage arising thereof and a cause-and-effect relationship. Does the standard vary if a controlling shareholder is a party to the transaction or is receiving consideration in connection with the transaction that is not shared ratably with all shareholders? If a shareholder is part of the M&A transaction, it could file Action 1 (eg, a damage claim for breach of contract). To the contrary, if the shareholder is a person legally responsible for the accuracy of a prospectus (eg, a corporate director), such shareholder could not arguably bring Action 4 (a claim based on the capital markets regulation). Regarding Actions 2 and 3 (directors’ liability), the ability of shareholders to bring actions would depend on their degree of knowledge and participation on the relevant transaction. Does your jurisdiction impose legal restrictions on a company’s ability to indemnify, or advance the legal fees of, its officers and directors named as defendants? This question should not apply to Action 1, as the party to the M&A transaction is generally the company itself. In Actions 2, 3 and 4, a company cannot indemnify corporate directors (it would arguably be a kind of invalid limitation of liability), and the approving director could face liability. Regarding advancing legal fees, in Actions 2 and 3, the claiming party is always the company itself (either through an agreement of the general shareholders’ meeting, or an agreement by shareholders or creditors on behalf of the company). It would not make sense for the claimant (ie, the company) to advance the legal costs to the defendant (ie, the defendant directors). In Action 4, any decision to indemnify corporate directors or to advance legal costs could represent a decision under a conflict of interest, because the directors (eg, the board) would be the ones approving such decisions to their own benefit. Generally, legal costs in this type of claim are initially covered by D&O insurance. Can shareholders challenge particular clauses or terms in M&A transaction documents? No, they cannot, if they are not directly part of the transactional documents. What impact does a shareholder vote have on M&A litigation in your jurisdiction? In an asset deal (Action 1), the decision would be on the board except if the transaction involves assets exceeding 25 per cent of the company’s value. In that case, the transaction must be approved by the general shareholders’ meeting. Shareholders approving the transaction could have limited possibilities of filing actions against corporate directors, except in cases of concealment of information, or when inaccurate or incomplete information was provided. Regarding Action 2, the general shareholders’ meeting has to approve the filing of a social liability action. However, if the resolution is not favourable, shareholders holding a determined percentage of shares can file a social liability action in the name and on behalf of the company. Regarding Actions 1 (share deal), 3 and 4, whether to file an action is a personal decision of each shareholder. Therefore, voting is unnecessary. What role does directors’ and officers’ insurance play in shareholder litigation arising from M&A transactions? D&O insurance plays an essential role within shareholder litigation arising from M&A transactions. It covers damage caused by directors and officers, normally except in cases of wilful behaviour. It also generally provides for an advance of legal costs to the defendant director. Who has the burden of proof in an M&A litigation - the shareholders or the board members and officers? Does the burden ever shift? Regarding actions or omissions of company directors contrary to the law or the corporate by-laws, there is a presumption of guilty behaviour by the directors. That provision means that the burden of proving the inexistence of guilt lies on the directors. Regarding actions or omissions of company directors breaching their legal duties, there is no presumption of directors’ liability. The burden of proof lies on the claimant, who must prove that the director acted wilfully or negligently and that such actions caused damages. Are there pre-litigation tools that enable shareholders to investigate potential claims against board members or executives? Yes, but they are very limited. To prepare a statement of claim, shareholders can request the company to provide very limited types of documents and accounts. Additionally, shareholders have a limited right to information regarding the matters to be discussed with a general shareholders’ meeting. Are there jurisdictional or other rules limiting where shareholders can bring M&A litigation? Regarding Action 1 (share deals and asset deals), the parties are generally allowed to include forum clauses in the relevant contracts, including arbitration clauses. Regarding Actions 2 and 3, companies can submit their internal disputes to arbitration. Including an arbitration clause in the corporate by-laws requires the favourable vote by two-thirds of the shares. The challenge of corporate decisions by shareholders or directors can also be submitted to arbitration, provided that the proceedings are administered by an institution and that such institution also appoints all the arbitrators. If no arbitration clause is included in the corporate by-laws, Actions 2 and 3 must be filed in the court of the domicile of the defendant directors. If several directors with different domiciles are sued, the claimant can choose the court that will handle the case. In connection with Action 4, the claim must normally be filed in the court of the domicile of the defendant. If there is more than one defendant, the claimant can choose the court that will handle the case. However, if the claim derives from a public offering or the claimant is a consumer (eg, a minority shareholder legally qualifying as a consumer), it could file the claim in the courts of his or her domicile. Does your jurisdiction permit expedited proceedings and discovery in M&A litigation? What are the most common discovery issues that arise? How are damages calculated in M&A litigation in your jurisdiction? Claimants are only entitled to claim actual damage caused to the company by directors’ actions or omissions that are duly proven. The methodology to calculate damages depend on the action filed and the type of damage caused. The usual ways in which experts calculate damages are normally also used in M&A litigation. What are the special issues in your jurisdiction with respect to settling shareholder M&A litigation? There are no special issues regarding settlements. Can third parties bring litigation to break up or stop agreed M&A transactions prior to closing? This is not common, but it could happen in very special circumstances (eg, if there is a priority right or a previous transaction by a third party regarding the same assets or shares). Can third parties in your jurisdiction use litigation to force or pressure corporations to enter into M&A transactions? What are the duties and responsibilities of directors in your jurisdiction when the corporation receives an unsolicited or unwanted proposal to enter into an M&A transaction? Directors must issue a report regarding the proposal stating whether they support the tender offer. They also need to disclose whether there is any agreement between the company or its directors or shareholders and the offeror. Any conflict of interest situation also needs to be disclosed. Likewise, corporate directors are obliged to request the authorisation of the general shareholders’ meeting before executing any action that could jeopardise an unsolicited proposal (eg, selling the company’s assets, paying dividends), including approval for the issuance of securities in order to avoid the offeror from gaining control of the company. By way of exception, directors are entitled to look for competing offers. If an action that could jeopardise the proposal was already approved before the offer was known, directors are also obliged to request confirmation at the general shareholders’ meeting. Directors are further obliged to notify the Capital Markets Commission of any defensive measure approved by the general shareholders’ meeting. Before defensive measures are approved, corporate directors must issue a report justifying the proposed measures. Shareholders aside, what are the most common types of claims asserted by and against counterparties to an M&A transaction? a breach of non-compete obligations. How does litigation between the parties to an M&A transaction differ from litigation brought by shareholders? Actions 1 (in cases of a share deal where shareholders are sellers), 2, 3 and 4 are litigation types brought by shareholders. Action 1 (asset deals) would be the usual claim deriving from M&A transactions, but shareholders do not normally have legal standing (ie, the asset deal has to be filed by the contracting party, which is normally the company). That said, whereas litigation involving M&A transactions (asset deals) and shareholder litigation in a share deal are contractual claims based (normally) on a breach of contract, shareholder litigation (Actions 2, 3 and 4) are damage claims against corporate directors or the company (in the case of Action 4). representations and warranties insurance is becoming increasingly common in the Spanish market, especially when sellers need to provide a quick return to investors. The use of this type of insurance could decrease M&A litigation for breach of contract in share and asset deals (Action 1). However, it is still unknown whether subscribing to these insurance policies could lead to litigation between the insurance company and the company that is insured. 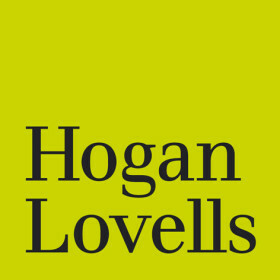 Hogan Lovells is a leading global law firm, with more than 2,500 lawyers and 48 offices in six continents. Since opening in Brazil in 2013, Hogan Lovells has been very active across a number of practice areas, including in M&A, financing transactions, international arbitrations, compliance and investigations.